Blood glucose meters are a big deal when it comes to diabetes treatment. Whether you’re newly diagnosed or you’ve had type 2 diabetes for decades, the first thing every diabetic knows is you need to start using a glucose meter and testing your blood sugar. Blood glucose meters not only measure your blood sugar levels, but they also help you make daily decisions about your diabetes management. The truth is… knowing your immediate blood sugar levels allows you to modify your diet, tweak your exercise routine, or even your adjust your drug regimen with the help of your physician. It also allows your doctor to figure out whether the plan is working and help prevent complications down the road. This is why the whole notion of not testing your blood sugar regularly is complete nonsense. 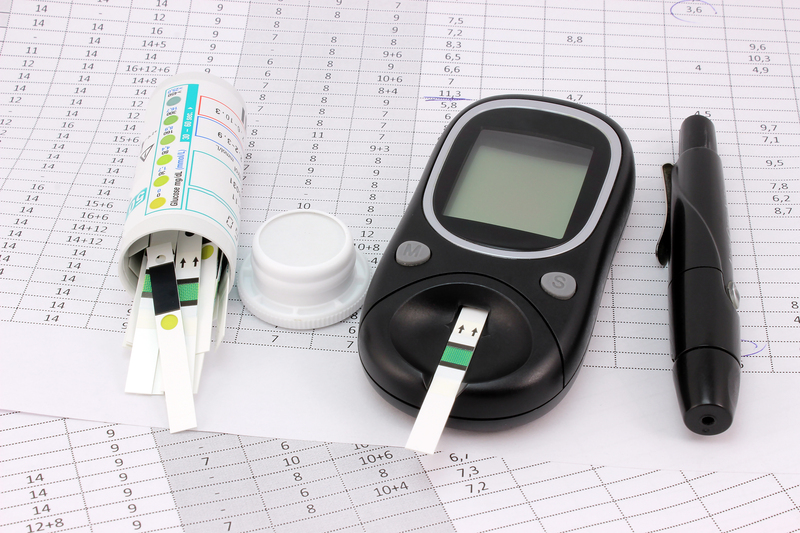 Self monitoring your blood sugar is an important component of routine diabetes care. Blood glucose meters allow you to check your blood sugar at home, work or anywhere you please. A meter measures the amount of sugar in your bloodstream. You’ll need to use a lancet to draw a tiny drop of blood and place on a strip that you put into the meter. The meter then gives you your reading which tells you your blood sugar level. If you’re somone who is well controlled with diet alone you may be able to get away with checking your blood sugar maybe once a day to make sure you stay on track. If you’re using insulin or other medications you’ll probably need to test multiple times per day. The ultimate goal for anyone with type 2 diabetes should be to reduce your A1C through controlling your blood sugar. In order to get a snapshot you’ll want to ue a glucose meter. These days there are so many options to choose from when it comes to a meter. It really can feel like you’re shopping for a popular electronic device or doodad like a TV or smartphone when looking for a meter. At the end of the day, it comes down to what works best for you. And you have to remember, all blood sugar meters aren’t created equal. Blood glucose meters also synonymous with blood sugar meter, blood sugar reader, or glucometer can vary widely between brands… when it comes to features. So you’ll want to look for one that fits you. Meaning it has all the bells and whistles that are important to you. You’ll notice, I talk a lot about customized, tailored solutions when it comes to diabetes, blood sugar meters are no different. No matter which one you choose though… I think the most important thing to look for in a meter is accuracy! Because at the end of the day, the most sophisticated glucometer means nothing if it isn’t accurate. The idea is that you want a meter that lines up as closely as possible to what you’d get if you had bloodword done and sent to the lab. That’s an accurate meter. For the most part, all meters have to be accurate or else they’d never be approved by the FDA. The FDA puts a glucometer through the ringer and any meter has to come out on the other side within 15 percent of true glucose, 95 percent of the time. So most of the meters are pretty good. So just know that they are all relatively accurate and up to FDA standards. Having said that though, there are a couple of brands that have done better in more extensive studies. You can read more about a study done by The Diabetes Technology Society that shows that not all meters are created equal. But to give you a key takeaway from the study here – based on their study The Accu-Chek meters and the Freestyle meters fared better out of the total 18 meters that they looked at. Is the meter easy to use? Does the meter have a lot of technology built in – this could be good for you or maybe not so much… can you download readings to your cellphone or computer or can you get readings quickly… like in a couple of seconds? Is the meter painless and how much blood is needed. Some meters can wok with less microliters of blood than others. Storage space – how many results can be stored? How expensive are the test strips? Monitoring your blood sugar is the bedrock of diabetes management. By now you know why it is important and why a good meter is a must when it comes to keeping your blood sugar numbers where you want them to be. You need a meter that fits you. One that has all of the features that are important to you. While you will also want to go with a meter that is accurate and is up to FDA standards. Prior to using any of this information please consult with your diabetes healthcare team. How To Cure Diabetes: Can You Cure Type 2 Diabetes?